December 6, 2018 By // by Frugal Patti Leave a Comment This post may contain affiliate links. This means I make a small commission if you make a purchase, at no additional cost to you. See my disclosure for more information. Teachers do so much for our children. They not only teach them valuable life lessons, but also encourage and often mold them into the adults they will become. Christmas is the perfect time to let them know how much you appreciate them and how much they do in their busy everyday lives. 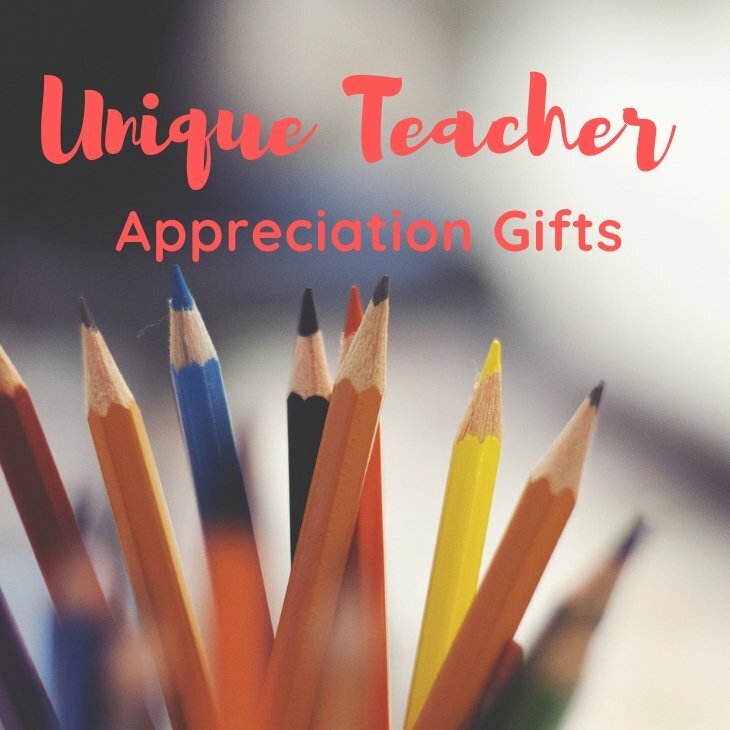 I’ve put together a list of unique teacher appreciation gifts most under $25. Many of the gifts can be personalized to make them even more special and memorable. 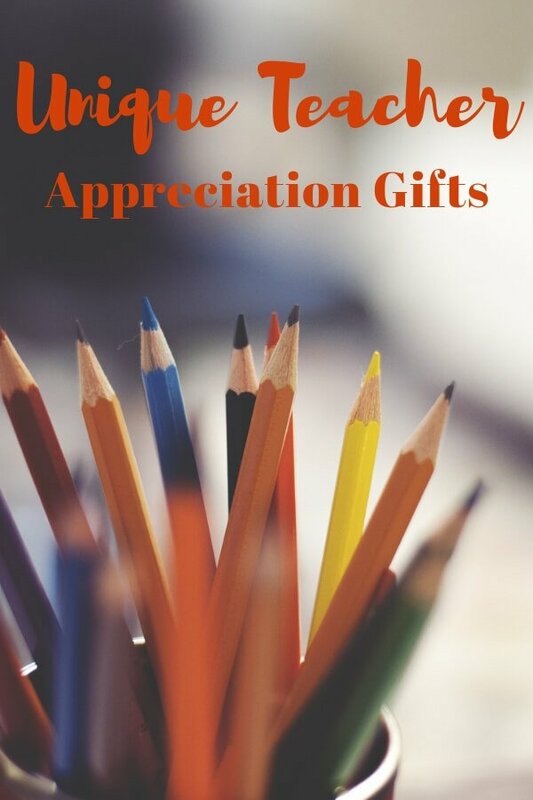 There is something for every teacher on your list and the perfect way to show them how much you appreciate them, during the holidays and all year long. Keep your child’s favorite teacher hydrated with this personalized stainless steel water bottle. Teachers work hard and need to care for themselves during the day. Any teacher would love this personalized teacher notepad. Perfect to send that note home to parents. This because teachers can’t survive on apples alone stemless wine glass, would be perfect for the stressed high school teacher or any teacher that you know loves his or her wine. This personalized teacher pencil organizer is a unique and useful gift. Not only with your favorite teacher be organized, but offers a unique classroom decoration also. Personalized My Favorite People Call Me T-Shirt. This is a shirt she would be proud to wear and her “favorite people” proud to see her wear. She will love this personalized adjustable teacher bracelet. It comes with a personalized hand stamped 1″ heart disc, Apple charm and Swarovski Crystal. She will love wearing this Teaching Is A Work Of Heart Shirt to school and around town. “Behind every student who believes in themselves, is a teacher who believed in them first”. An elegant, soy candle with a special message. Can be personalized with a special message on the back. What teacher wouldn’t love this Personalized Llama Teacher Christmas Ornament? Who can resist an adorable llama? Coffee: Because awesome teachers can’t live on apples alone, teacher travel coffee mug! Great gift for both male or female teachers. If your child’s teacher loves Starbucks, this teacher’s Starbucks inspired coffee tumbler is the perfect gift. Great for both cold and hot beverages. Any teacher would love this 6 piece botanically infused natural body care set. After a hard day at work, teachers need relaxation too! I hope you have been able to find the perfect gift for your favorite teacher on your list. If not, try browsing other Teacher Gifts at Etsy.